Properties in Red Top Mountain State Park average 4.6 out of 5 stars. 4 Bedroom, 2 Bath Home Situated on a nice Private Lot. 27 minutes to LAKEPOINT. Property 2: 4 Bedroom, 2 Bath Home Situated on a nice Private Lot. 27 minutes to LAKEPOINT. Renovated home, 12.8 miles from LAKEPOINT Sports Complex, Sleeps 8!!! Property 6: Renovated home, 12.8 miles from LAKEPOINT Sports Complex, Sleeps 8!!! Lake Front Home, Theater Room, Dock, Mountain View, April/May Specials! Property 7: Lake Front Home, Theater Room, Dock, Mountain View, April/May Specials! 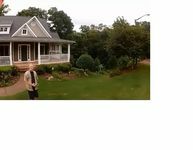 Lake Allatoona Vacation Home, Best Views, and right on the water. Property 11: Lake Allatoona Vacation Home, Best Views, and right on the water. SPACIOUS Cartersville HOME that SLEEPS UP TO 13 PEOPLE and 12 min. to Lakepoint! Property 12: SPACIOUS Cartersville HOME that SLEEPS UP TO 13 PEOPLE and 12 min. to Lakepoint! Over 1800 sq ft, up to 4 guests! Property 13: Over 1800 sq ft, up to 4 guests! Property 17: Quiet and Relaxing! Lake Front Home, Arcade, Hot Tub, dock, April/May specials! Property 19: Lake Front Home, Arcade, Hot Tub, dock, April/May specials! Beautiful, Private Retreat with Salt Water Pool - Featured in Atlanta Magazine!! Property 21: Beautiful, Private Retreat with Salt Water Pool - Featured in Atlanta Magazine!! Luxury 4,600+ sq. ft home w/breathtaking lake and mountain views, Home Theater! Property 23: Luxury 4,600+ sq. ft home w/breathtaking lake and mountain views, Home Theater! Property 27: Private two story renovated barn situated on a wooded hilltop. Sweet Olive Cottage - Convenience & Cuteness in a Bright Yellow Package! Property 32: Sweet Olive Cottage - Convenience & Cuteness in a Bright Yellow Package! Clear Water Cove, 5800 Sq. Feet Of Relaxation & Deep water off the dock-TOYS! Property 34: Clear Water Cove, 5800 Sq. Feet Of Relaxation & Deep water off the dock-TOYS! True luxury. Downtown Woodstock convenience. Entire home. Property 35: True luxury. Downtown Woodstock convenience. Entire home. 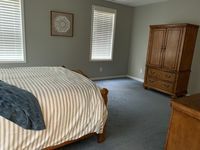 Marietta Smyrna Cozy Clean Renovated ENTIRE HOME! Property 38: Marietta Smyrna Cozy Clean Renovated ENTIRE HOME! Property 41: Located just two miles off the Marietta square and minutes from Braves stadium. We loved our stay. The place was incredibly comfortable and beautiful, and had everything we needed. The kitchen was large and lovely, a great utility room with washer and dryer, the bathroom was huge with a great spa tub and a shower (plus a walk in closet big enough to be a third room). The beds and the bedding were also super comfortable and luxurious. The house is surrounded by giant trees and chirping birds, and the screened in porch (with festive lights) is the perfect place to sit and enjoy it. Shana was an amazing host. We inquired about late checkout, and were told that was no problem, and the checkout time was incredibly generous, which made our trip SO much easier. We never had any problems, but communication was great, so even if we had, we know it would have been resolved immediately. We'd definitely stay here again! Just needed a place to sleep didn't take advantage of everything offered. Much cleaner than any hotel room I could have gotten. On a quiet street but within 20 minutes of Atlanta and all it has to offer.